Lifting weights is one of the best anti-aging methods. So, why aren’t you lifting? Walk into the best fitness center in Phoenix, AZ, and you’ll find rows of weights and weight machines. Below are the 5 major benefits of lifting weights and slowing the age process. As part of the aging process, muscle breaks down, it weakens, and you lose strength. Do you need to be able to bench press 150 pounds when you’re 85 years old? No, but you do need to have enough muscle strength to walk upright and get around. Lifting weights keeps muscles toned and bones strong. Osteoporosis affects women and men as they age – this condition happens as bones weaken. One way to reduce your chances of developing this condition is to lift weights regularly to strengthen the muscle and protect the bone. You don’t have to lift a lot of weight. Even using 3, 5, or 8 pounds of weight and completing repetitions can be very beneficial. Lifting weights teaches you concentration. Many people who begin lifting weights at fitness centers in Phoenix find that they’re able to concentrate better at simple tasks. If you’re struggling with focus issues, try adding weights to your fitness routine and watch the changes take place in your life outside of the gym. When you lift weights, you gain a deeper knowledge of your body. You learn your strengths and find your weaknesses. Lifting weights builds confidence. You become more appreciative of what your body can do and learn when it’s time to back off and rest. In Phoenix AZ, Mountainside Fitness offers a state-of-the-art equipment such as Hoist, Precor and TechnoGym plus houses over 10,000 lbs in free weights for lifting and toning your body. Have you noticed how people tend to shrink when they grow older? That’s because people spend so much of their time hunched over. Whether it’s at a desk working on the computer or even looking at your phone, you’re bent over a lot each day. Over time, this affects your posture. Lifting weights forces you to get your posture in check. You can’t perform a correct bicep curl when you’re hunched over. 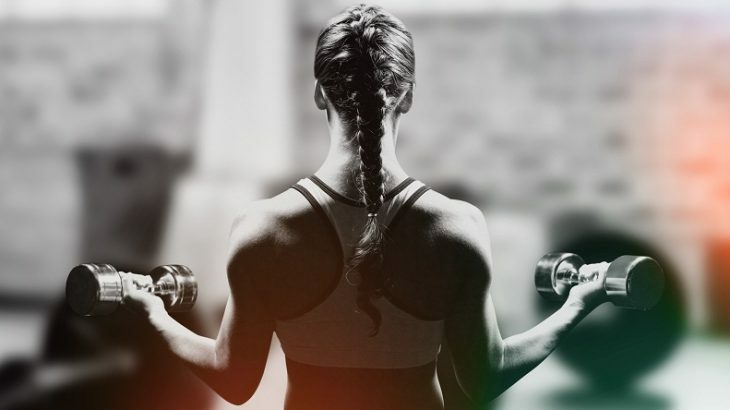 The more you lift, the better your posture becomes. When you’re ready to begin a weight lifting routine, choose a fitness center that offers instruction. Beginners need instruction on how to properly lift and find the right starting point. Too often, people lift weights that are too heavy and injure themselves. Don’t let this happen to you. Find the best fitness center in Phoenix, AZ, by making sure that a personal trainer shows you the ropes and how to properly lift weights. We offer a 5 Day Pass so that you can come in and try us out. Ready to join? Our membership is $0 first month and $0 enrollment. For more information, about our memberships click here. Once you find this, you’ll be well on your way to aging gracefully and achieving health benefits.